Wed, Fri & Sat. 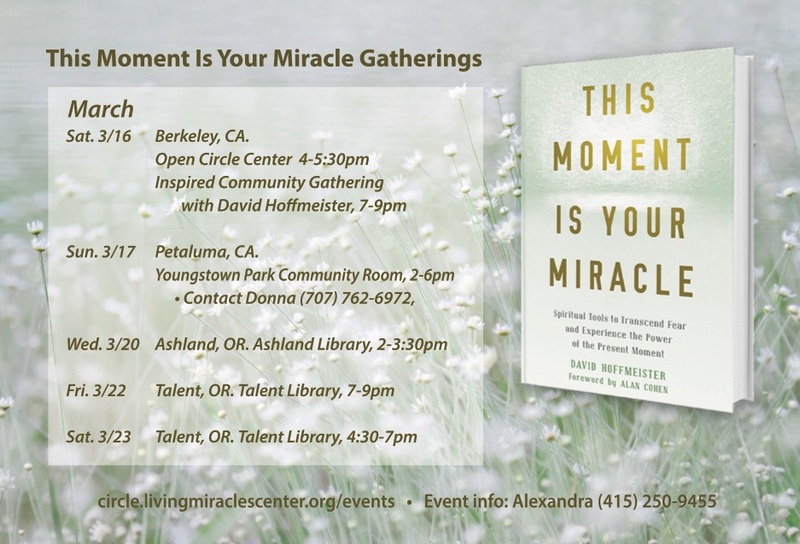 March 20, 22-23, Intimate, Authentic Gatherings in Ashland, Southern Oregon. If you’d like to take a Bay Area break, drive 6 hours north (or fly into Medford), you are invited to join us in this beautiful, artistic, mountain town with Jenny, Greg, Alexandra, Brian and a dedicated group of Mighty Companions. This will be a time of clarity, fun and companionship. Lots of luxury, yet affordable, hotels / bnb’s, warm hotsprings and restaurants in Ashland, OR await you.